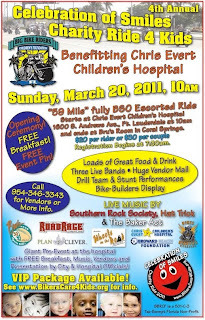 He said that 1800 bikers, escorted by 40 police motormen, riding two by two in a line 10 miles long, will troop 60 miles around Broward County Sunday morning, in a line that may not be broken, thrilling spectators but annoying drivers of other vehicles no end. He also said it could take them up to an hour to clear an intersection and that the annoyance factor is a big draw for the bikers. 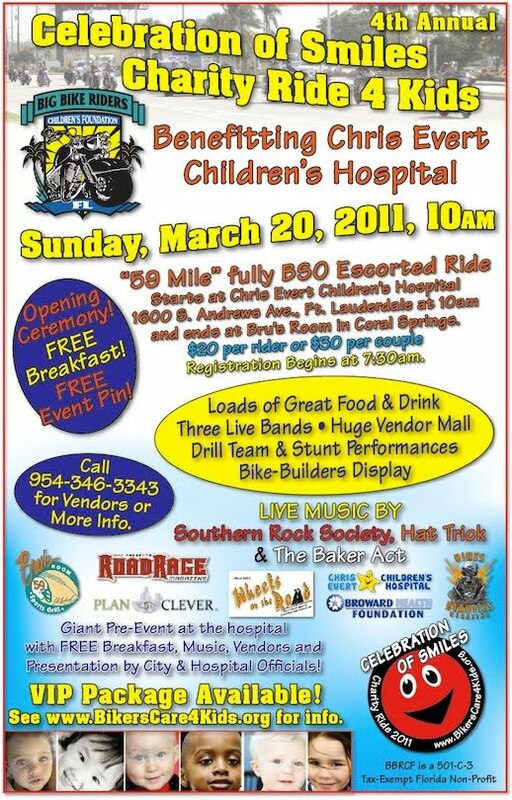 As Broward drivers are being annoyed and kids are being benefitted, the whole thing works for me too.